Microscope World has recently added a variety of microscope reticles to its already wide selection. 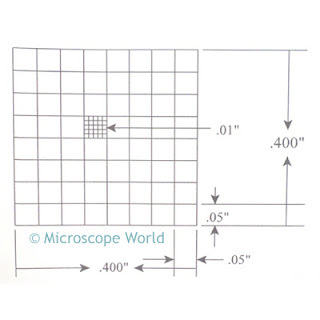 A microscope eyepiece reticle (also known as a reticule) is placed in the microscope in order to perform measurements or count particles. 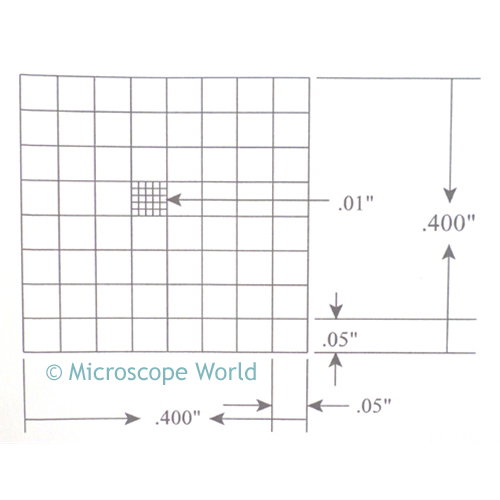 The most commonly used microscope reticle is the ruler reticle. 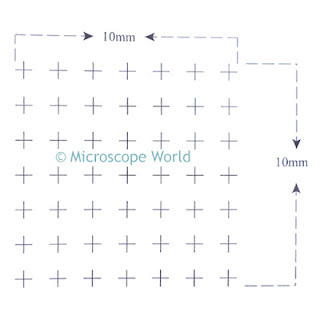 Available in a variety of lengths, both mm and inches, the ruler is simple to use and allows the end user to measure the distance between two items in a microscopic sample. 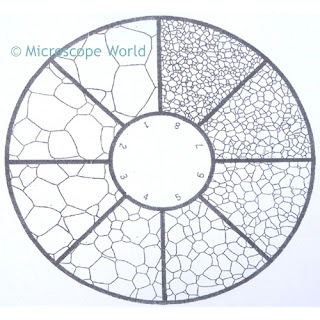 Grain sizing reticles are used for measuring twine, austenite, carbide, brass, and copper. Additionally, grain sizing reticles that meet ASTM E112 grain counting standards, Methods ASTM E-45 A, D and E method, and ASTM C method are specific reticles used to meet government required measuring standards. Comparator reticles come in a variety of sizes and are sometimes referred to as protractor measuring reticles. Some comparator reticles have different size circles on them as well, helpful in measuring circular particles. 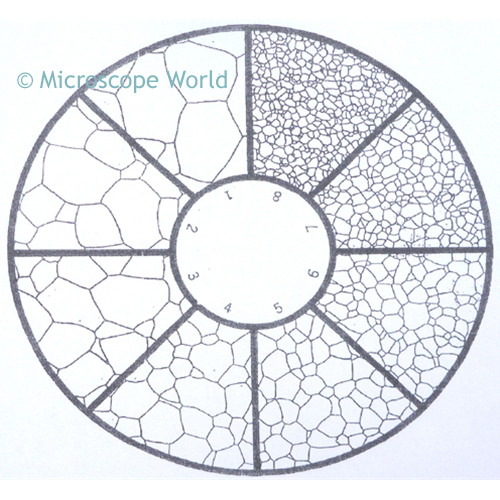 Whipple reticles are grids with a smaller grid inside the large one. 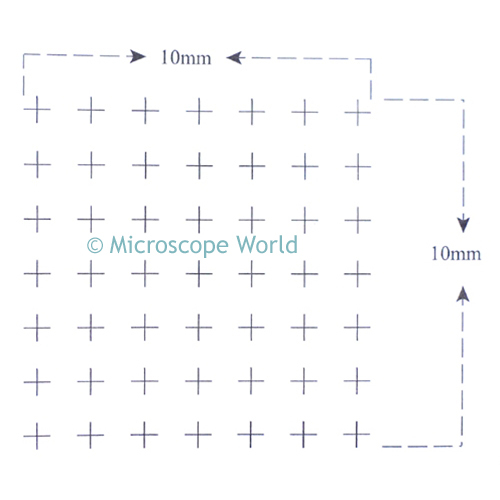 The whipple measuring reticle is intended to enable the measurement of smaller specimen features such as pigment dispersions, colloidal particles, dust, and bacteria. Cross line reticles are available with a simple cross, or more cross lines creating a pie. 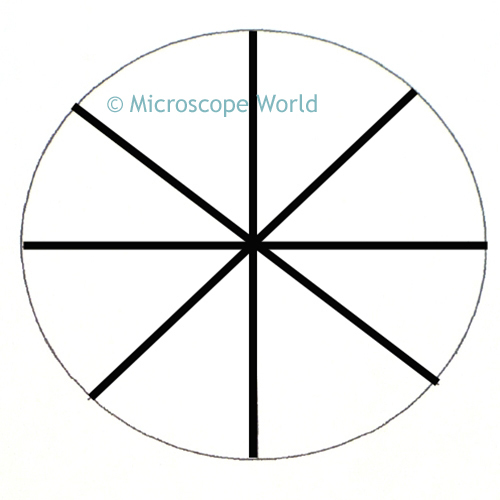 These cross line reticles are excellent for dividing a specimen into quadrants or measuring angles. Point array reticles and point dot array reticles are helpful in counting and recognizing patterns. 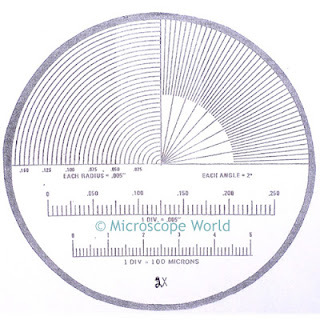 In addition to the reticles shown above, there are a number of other specialized reticles available including Birnell Scale, Howard Mold counting, Walton & Beckett among many others. 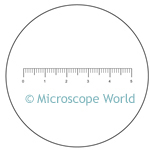 You can view all the microscope reticles and stage micrometers offered here.